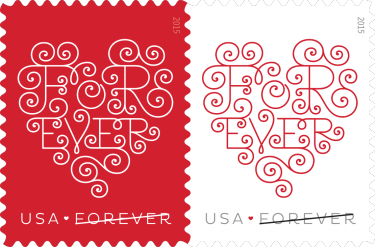 The USPS has released the Forever Hearts, Forever® stamps, two versions depicting a heart shaped with lacy lettering spelling out “Forever”. Available in a white background with a red design and a reversed design in white design with a red background. The perfect stamp to adorn your custom printed invitations valentines cards, announcements, anniversary cards and much more. These beautiful Valentine’s stamps were first issued January 22nd, 2015. Forever Hearts, Forever® | USPS Stamps. Don’t fret! The Marsid M&M Group has you covered for all of your printing and mailing needs. 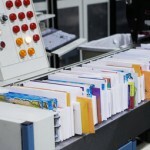 we are fully equipped to handle your next mailing extremely fast and accurately. Contact us right away toll-free at 1-877-mmprint or visit our mailing services page to request an estimate. Small businesses thrive when their local community embraces what they have to offer. Customers feel that doing business locally is easy, it’s close by and it’s probably good for the local economy. Even though these customers are consumers just like anyone else in the rest of the country, these consumers have one specific characteristic that is completely different from any other: they SHARE your location. Whether your local efforts are made at the town level or the state level, these customers can become loyal fans just how sports fans become loyal fans of their local (town,state) teams. Sharing your location with your customers means that you and your employees eat, shop and interact with the same local businesses that they do. These days you can run a Loyalty Rewards program easily in-house. It’s simply a matter of how complicated you make the offer. A simple way is to print custom coupons with areas that get marked for each purchase or transaction. When the customer reaches the pre-determined number of transactions, you reward them with a free gift or a discount. Partner up with some of the popular local businesses and run joint advertisements or run discount coupons off of each other. By doing this you are advertising to their customer base and at the same time helping their advertising efforts. Every Door Direct Mail : For 18.3 cents each (postage) you can mail an over-sized postcard or folded piece to every mailbox in your surrounding neighborhood including PO Boxes. No mailing list required. E.D.D.M. is an amazing opportunity to let your local customers know your business contact information, address and the services and/or products you offer…while your at it, give them a coupon or offer they can’t refuse. 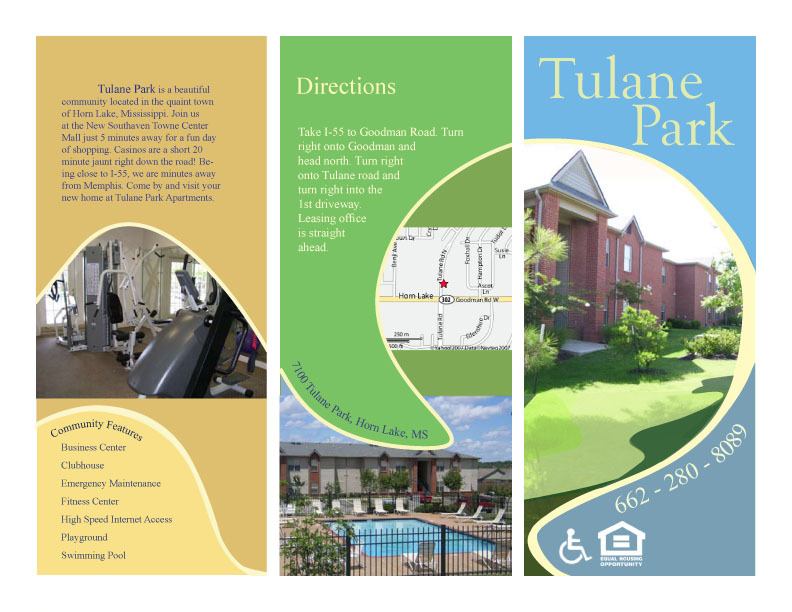 With the large canvas of the over-sized card that you can send, there’s enough room to include vital information, an attractive image and a killer call-to-action. Social media is all about community. By embracing the power of social media, you can create a community of brand ambassadors that will spread the word for you. Sign up for Twitter and create a Facebook business page at the least and start conversations with your customers. When they talk to you, their friends and connections will see the conversation and possibly join in. With that alone you might have just scored a new customer. Although each one of these tips is powerful on its own, using them in combination will increase your chances of acquiring new local traffic. Use Every Door Direct Mail to inform your local community of your location, product or service and make sure to let them know where to find you on Twitter and Facebook (and any other social media networks you are on). Then, on your Facebook business page you can offer a discount in return for a Like. Don’t forget to use QR Codes to make it easy to connect with you or visit your website via mobile phones. Have you had better success using Targeted Direct Mail over using Every Door Direct Mail? If your main customers are businesses (B2B), E.D.D.M. is really not for you. Every Door Direct Mail requires that you mail to residences. If your product or service caters to a very specific demographic, targeted direct mailwould be more beneficial to your campaign, not E.D.D.M. 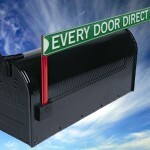 Who benefits from Every Door Direct Mail? Don’t forget, franchises do most of their marketing at a local level…E.D.D.M. Win! Local deals, local search, local , local, local!A perfect example is the announcement of a new pizzeria in town. Let’s say the owner is not a marketer or just doesn’t have the time to put together a marketing campaign. Yet, naturally he knows that his target market is every home and business in the surrounding area of his pizzeria. 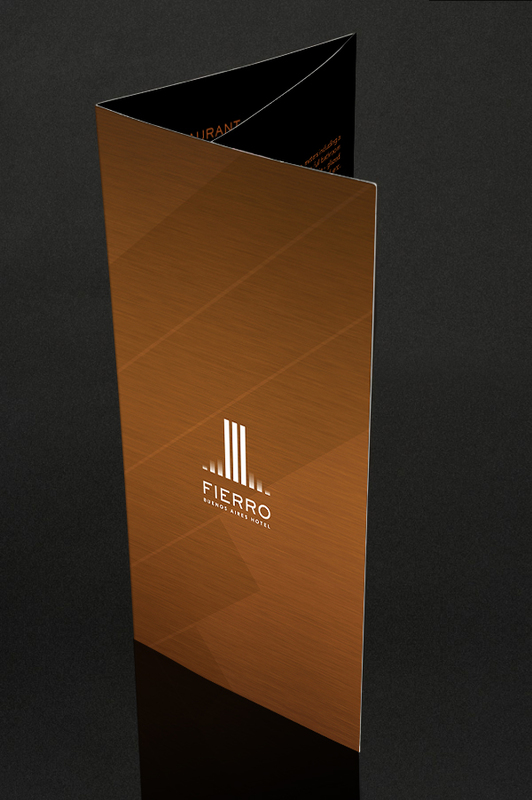 Every Door Direct Mail would be the quick and efficient way for the pizzeria owner to let every home in say, a 2 mile (or more) radius know about the grand opening of the new pizzeria. Simple and inexpensive. So, you’re a Franchisee and you own 3 stores that each serve their own local communities. Your main marketing objective is to make sure that everyone in the local vicinity of each store knows about the store, letting them know the address, contact information and hours of operation. Since Every Door Direct Mail service does not require an address list, you can send a direct mail piece to every single residence in the town of each store for a measly 14.5 cents each in postage. 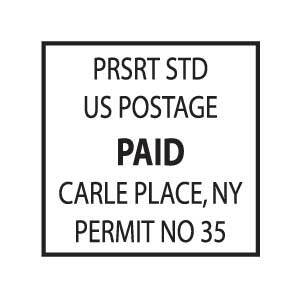 No requirement for a Postal Permit also saves your out-of-pocket costs in application and yearly fees. 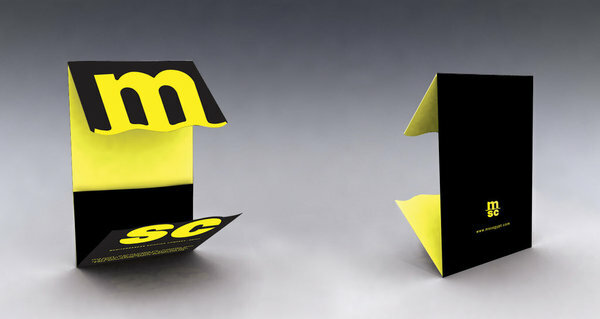 Every Door Direct Mail requires that the size of your mail piece falls within the USPS “Flat” dimensions. 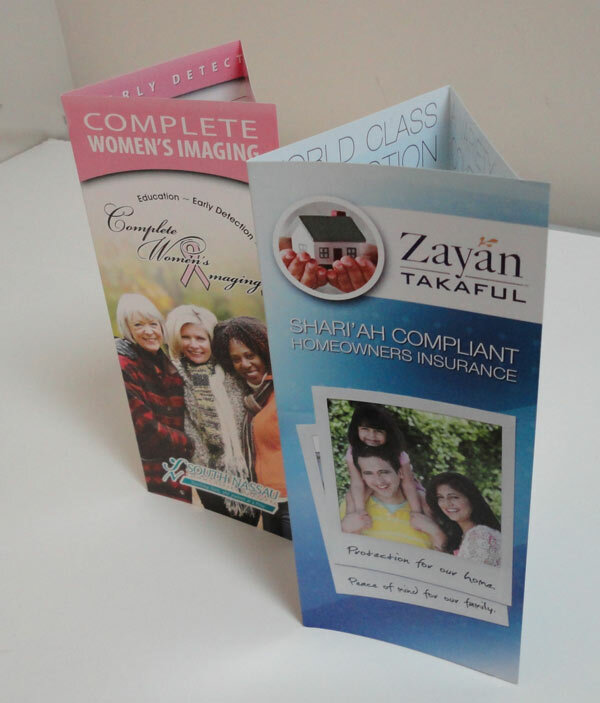 A common size is 6.25 x 9 which is a huge amount of real estate to cover with big graphics of your products or services, coupons and anything else that makes sense to include in the direct mail piece. You can go all the way up to 15 inches. 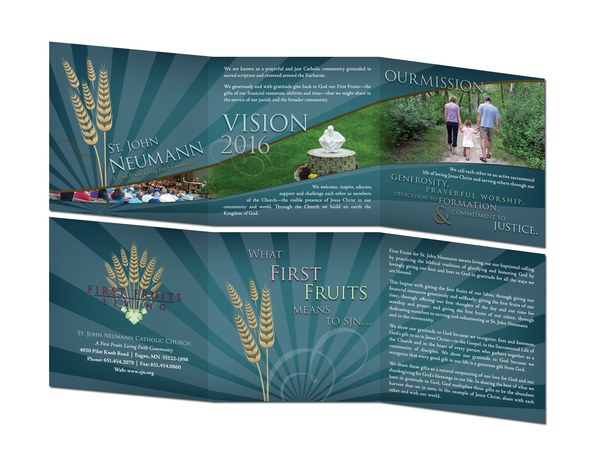 You can also mail folded prints as long as they fold down within the size restrictions: Full color custom Calendars give you 12 months of continuous marketing and fall within the “flat” dimensions. 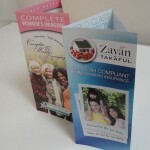 Besides being cost effective, Every Door Direct Mail only takes a few simple steps to put together. Have your E.D.D.M. postcards printed, band them into bundles with a facing slip and a rubber band and then deliver them to the Post Office with your payment for postage. That’s it. Too busy? Your preferred printer can do everything for you, all you have to do is bring it to the Post Office with your postage payment. One of the reasons the United States Postal Service created the Every Door Direct Mail program is to help local business grow (and to try to get back on track with it’s own revenue of course). But when used correctly, it really is a great opportunity to expand your marketing efforts. E.D.D.M. doesn’t necessarily need to be your only means of advertising; Use it to augment your web, TV and radio marketing campaigns and remember to add QR Codes to connect the offline with the online. 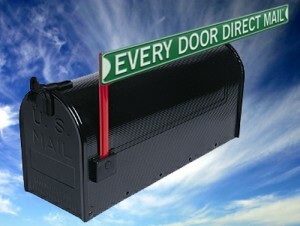 Have you used Every Door Direct Mail for your business? What was your response like? Sometimes a business card just isn’t enough to leave behind when you visit a potential customer. Sometimes, customers come into your facility and want to learn more about your products or services while they wait or to take back to the office or home. Sure, you can tell them to visit your website; there’s a lot of information and pictures there. But how sure are you that they will actually visit your site? How do you know that they will remember to do so? Well by furnishing them with a printed brochure, you can rest assured that they have the information they seek, in their hands, ready to read. 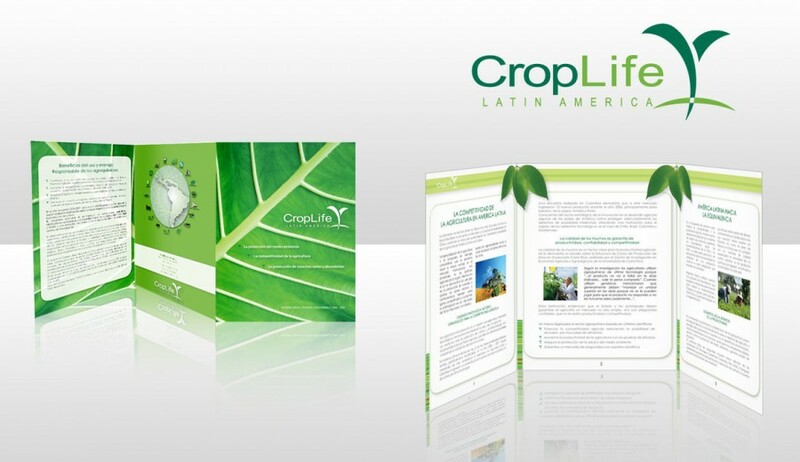 No computers to turn on, no website addresses to type, just a simple informative brochure in their hand ready to be read. 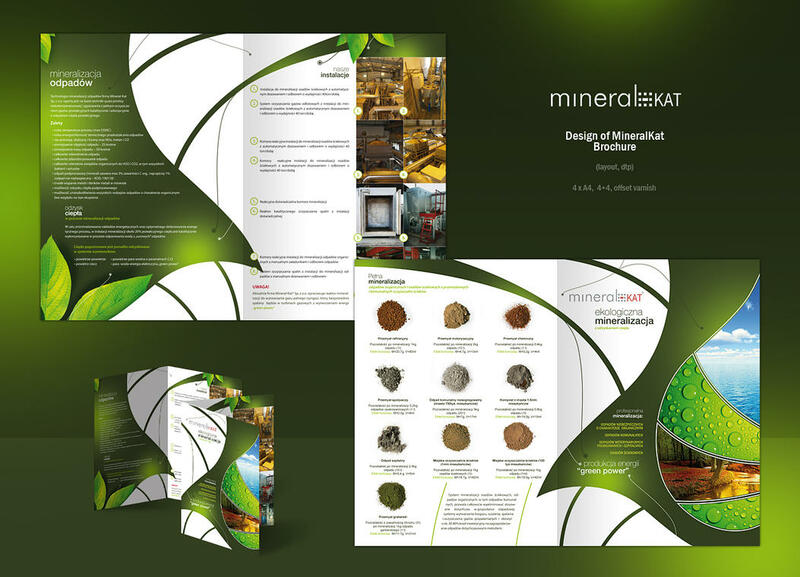 Your brochure is a selling tool, it serves as a convenient hub to introduce your service or product, it can contain information about you and/or your business and a way to contact you. Now here is the way to extend the power of your brochure to actually make the sale for you: add a QR Code. 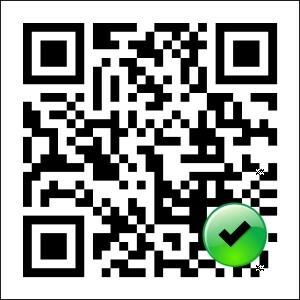 Yes, by adding a QR code to the inside or outside of your brochure, the potential customer can scan the QR code with their smart phone, go to a mobile-ready website that is formatted to make it easy for them to actually place the order for the product or schedule an appointment for the service you offer. 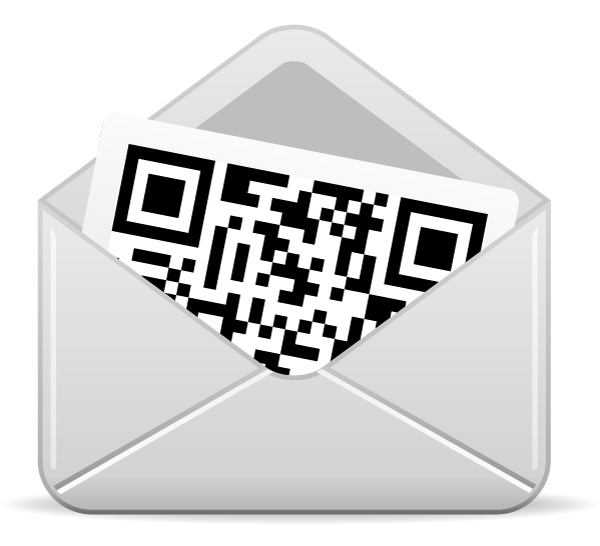 Read more about how to properly execute a QR Code campaign to get the best results from your efforts and save money on postage when using direct mail services. 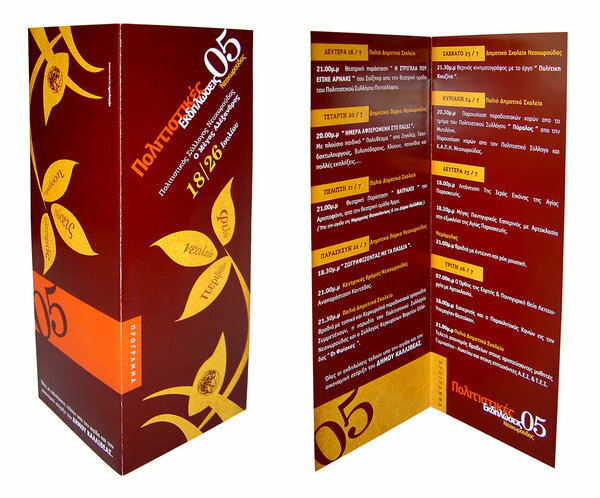 Printed brochures come in many sizes and shapes. Of course we have to offer you a nice collection of beautifully crafted brochure samples to get your creative juices flowing and to end this post with some motivational visual inspiration. Although QR codes are quickly being adopted by major companies and industries, adoption is moving slowly throughout the small business sector. 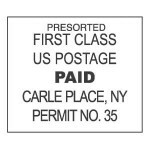 Direct Mail marketers and mail houses can save 3% on their First Class Presort Mail and Standard Presort Mail postage simply by including a QR Code that must be easily visible on the outside of the mail piece. Simple as that. Although the savings can be substantial, it is important to keep in mind that if your Direct Mail campaign is not thought out thoroughly and optimized for success, then all of your efforts and cost of printing and postage will go to waste. On the bright side, you can always learn from your mistakes. 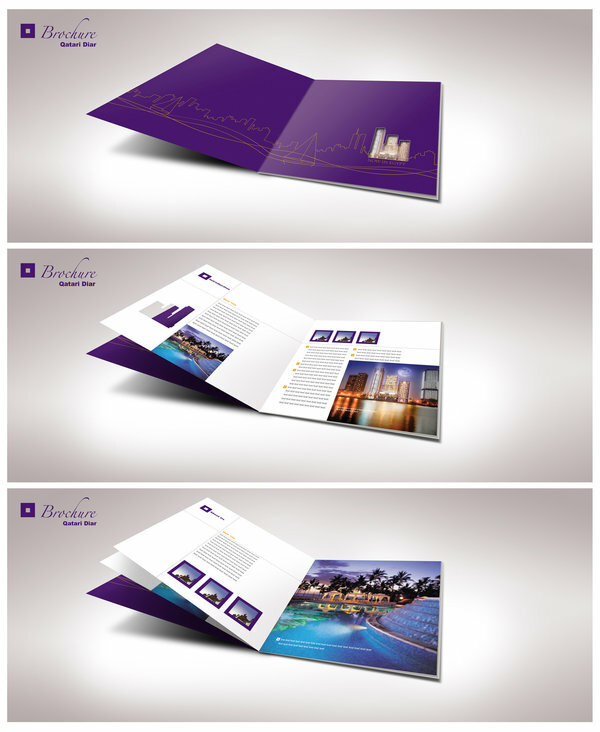 Direct Mail is about trial and error and consistency; improvement and repetition. 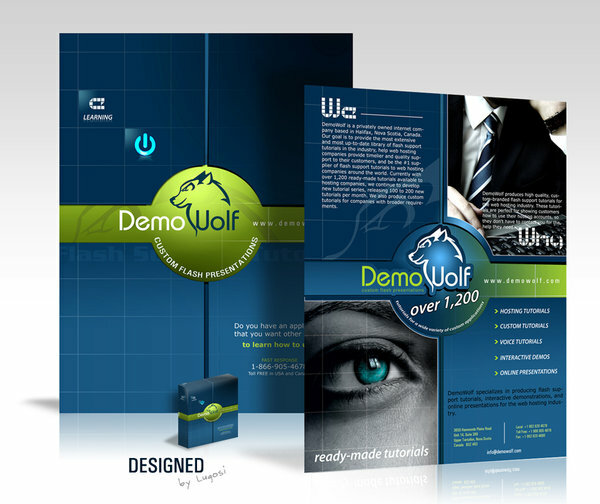 I don’t think any one Direct Mail campaign can be the one or the best one for that matter. If you are thinking of taking advantage of the 3% postage discount and this would be your first QR Code Direct Mail campaign, the following paragraphs will help you begin with an advantage. Creating and Reading QR Codes is easy and FREE! But the biggest issue lies with what happens after the QR Code is scanned. Obviously (or maybe not obvious enough), a QR Code is scanned with a smart phone which typically has a screen size between 2 to 4 inches. This being the case, wouldn’t you expect to be taken to a mobile-friendly website that is compatible with your smart phone’s screen size? Well, believe it or not, this is a very common mistake made by marketers that makes the whole Direct Mail/QR Code campaign a complete failure. Let’s say your Direct Mail piece is a postcard that promotes a new product that you are selling and the customer scans your QR code. The customer lands on a mobile friendly page that contains a great description of the product but does not have a Buy Now! button anywhere on the page. The purpose of your Direct Mail piece is to offer a product that you sell, yet a way to purchase the product is not easily made available. This Direct Mail campaign can pretty much be considered a lost sale opportunity. A complete Direct Mail campaign using QR codes must include a mobile landing page where a call to action is the main focus of the page. Whatever the purpose of your Direct Mail campaign is, it should reflect in your mobile landing page. If your QR Code directs the user to a video preview, make sure the video is formatted for mobile screens and should start playing right away. The purpose of a smartphone is accessibility and convenience – No downloads! Direct Mail or Marketing Campaign? 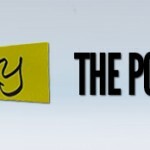 As of May 2011, the United States Postal Service will be rolling out its next generation of mail delivery services . These new services are a leap forward in the “USPS Automation Initiative” with the incorporation of advanced information technology into their vast mailing system. With the use of the new Intelligent Mail barcode, direct mail will now have the benefits that come with online tracking. From the moment the parcel leaves your mail house to the moment it reaches your customers, each and every piece of mail will be connected to the USPS network via a unique barcode and this information will be available to you and your customers at any time. Analytics! You will now have the power to test different types of direct mail media and obtain a detailed measure of the response. If you are familiar with Google Analytics, you are aware of the benefits of knowing your website’s visitor details and browsing habits as they relate to your online marketing efforts. Well, Intelligent Mail is the real-life version of Google Analytics. Not only will you be able to learn more about your customers and improve your targeted marketing, the Intelligent Mail system will also improve delivery efficiency and decrease undeliverable mail while at the same time updating your mailing list. One of the most impressive uses of the Intelligent Mail Barcode system is the tracking of invoices and payments. When companies send out invoices with a return envelope included, that return envelope can be tied to the original envelope which contains payment and can be tracked. This can help businesses forecast cash flow. There are two Intelligent Mail Barcode services offered by the USPS. 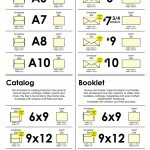 Requires Intelligent Mail Barcodes on the letters and flat-size mail. It allows for OneCode ACS® service which has a lower cost that traditional ACS™. Requires unique Intelligent Mail Barcodes on the letters and flat-size mail. These 3 barcodes will ensure accurate tracking of all mail pieces at any time throughout the mail system process. The barcode on the mail piece will be assigned to the barcode on the tray and the barcode on the tray will be assigned to a barcode on the container where the mail piece and tray is contained. The Intelligent Mail Barcode absorbs the functionality of the ACS™, POSTNET and PLANET Code® barcodes into one all-inclusive barcode. Full compliance with the Intelligent Mail Barcode system will be required starting May 2011 in order to receive automation discounts, although with the new system comes accessibility to additional automation discounts and services. Drives product innovation – Use mail stream information to create and send more strategic and effective mailings to the consumer. Sharpened operational insight – The Postal Service will develop focused analytics that provide insight into operations and a clear understanding of cost drivers. Enriched customer experience – Enhanced verification and mail quality help the USPS to become more proactive in communicating and addressing issues. Has your company already started to use the new Intelligent Mail Service? Please share your experiences and thoughts by leaving a comment below.